The Healthcare Data, Technology & Services Blog: What do you know about any of your followers? 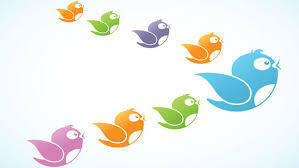 Do you know anything about those who follow you on Twitter? What’s there role at their job? Where do they live? Are they married? Do they have kids? What are the common words that connect your followers? I'm looking forward to diving deeper into the metadata about those that follow me.